The Flotation Slipcase in Realtree Max-4 camo has rugged Endura fabric construction with hook and loop closure. 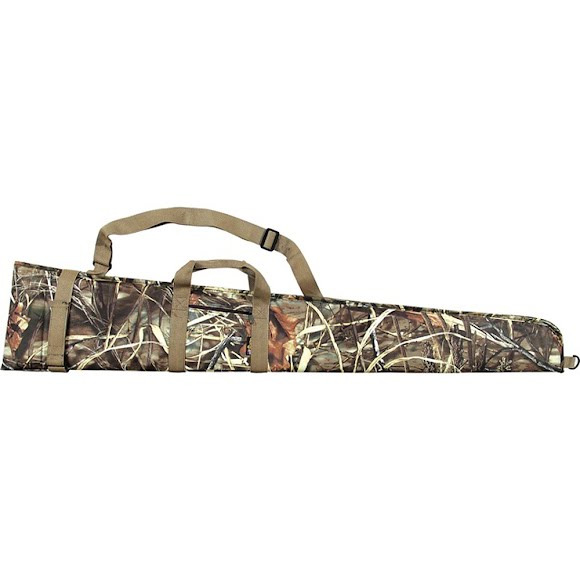 This floating case also comes with an exterior pocket, an adjustable sling, and a reinforced web handle. Measurements 54.5" x 9" x 1", Fits guns up to 52"